Assume that you have a BLE beacon in your pocket. 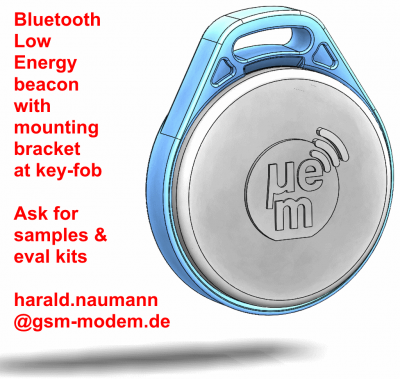 It could be the same BLE beacon you have used at your smart home. The car will know who you are. It will power on the music you like and it also will adjust your seat. Adjusting the seat is not a new feature. Today this is related to the electronic car key. Anyhow, such a key can only be used at the car. 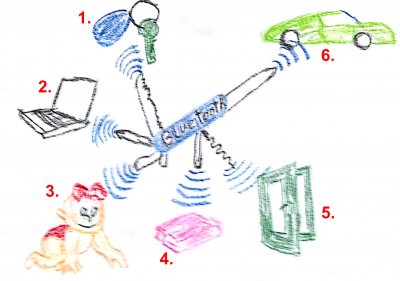 A BLE beacon can do much more things than just adjusting the seat. It can be used at the smart home. It can be used at the office. The opportunities are nearly unlimited. And those who want to listen to me about BLE and opportunities are welcome to stay on 5th February at the IoT Meetup in Munich. You will learn about BLE, you can touch and play with inexpensive BLE beacons, and on top you have a chance to win such BLE beacons during the event.